Billions of people around the world enjoy an unprecedented standard of living based on one thing: oil. And each year we demand more. We produce and consume energy not simply to heat, feed, move or defend ourselves, but to educate, entertain, construct our world then fill it with stuff. Everything we buy, from a McDonald's hamburger to garden furniture to cancer drugs, represents a measure of energy produced and consumed. But how can this sustain itself, when already we have burned our way through half the easily available oil? Yet the pursuit of fuel is relentless. It can shape the diplomatic, economic and military strategies of nations, perverting the cultures and politics of entire regions; it props up corrupt governments and dictators; it fosters the instability and resentments that have already spawned Muammar Qaddafi, Saddam Hussein and Osama bin Laden. 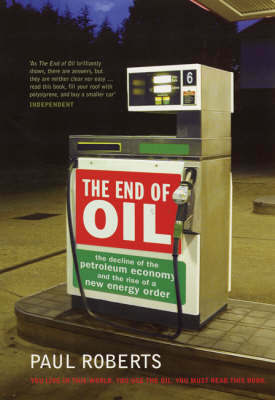 In this devastating piece of reportage, Paul Roberts shows what is likely to happen, why the transition from oil will be complicated, traumatic and possibly dangerous, and what it will mean for our daily lives.